And you thought the Westvale Plaza sign was bad… A few weeks ago, Benderson decided to whisk us all back to the rockin’ ’80s and replace the old Fairmount Fair sign with this orange beauty. (Yes, that appears to be plaid or some kind of waffle weave behind the barely legible lettering — which appears to be a rejected font for the cover of Duran Duran’s Rio.) Bob Niedt of the Post-Standard’s Storefront column says Benderson won’t return his calls about the new sign… or why the smaller, more tasteful (yet blander) new sign they installed last year is still standing (see below). Presumably they intend to take the beige one down. I don’t care about the old sign for the mall (which wasn’t the original sign anyway – it was replaced back in the ’90s with something very similar to the original). The name “Fairmount Fair” is what’s “historic,” and happily Benderson opted to keep it. I’m guessing the new sign has something to do with Benderson planning to lure more shops to the center. But boy, is it silly. 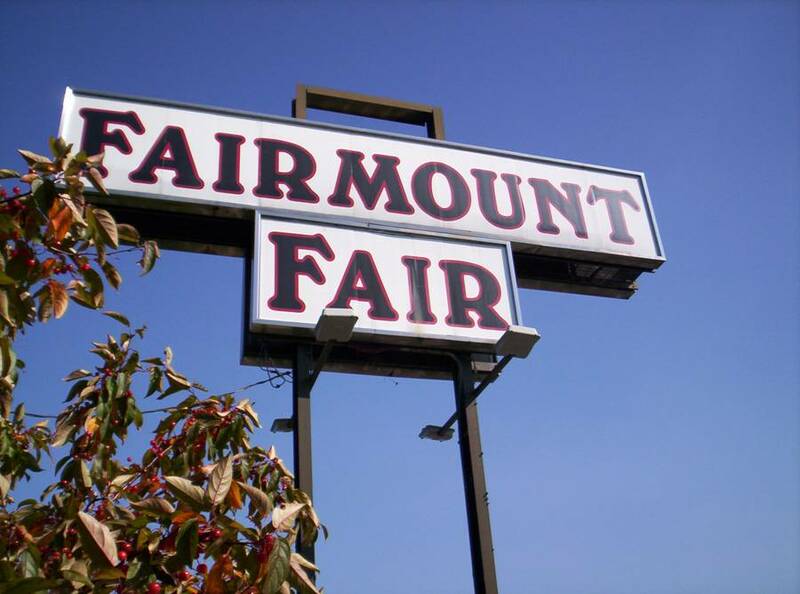 Since Fairmount Fair is the most overt identity that Fairmount has as a spot on the map, it’s kind of a shame. Between this and Westvale Plaza, I’m always amazed at how horrific design finds its way into suburban sameness. Who designs this crap? Someone was paid to do this work? I WANT MY MTV! Ah, Lucida Handwriting. A font that should have died shortly post-birth, yet has lived on for at least a decade. The pillar sign is hardly unusual around here – but the sidebar is hardly an improvement. Signs are bad, but…it’s even worse when the offender is a building. Some of the building designs that Syracuse University is paying for on the Near West Side, yikes.